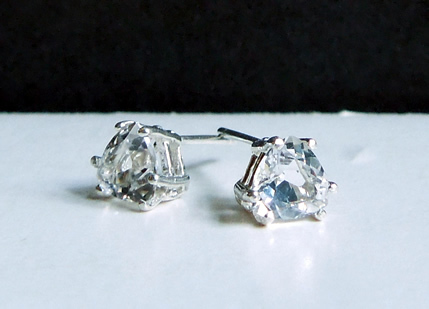 Notes: These beautiful trilliant Herkimer Diamond studs have a cushion cut; meaning they have rounded pavilions verses straight. 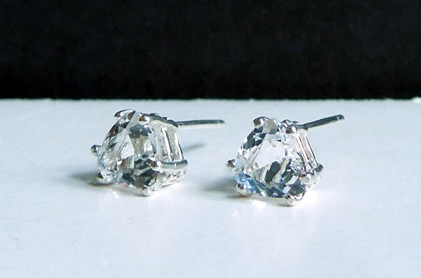 These water clear quartz crystals measure 6x6 mm with a weight of 1.5 ct. total. 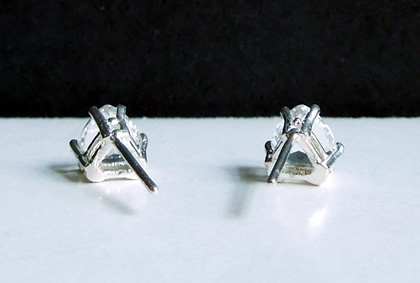 They are set in Sterling Silver stud earrings. 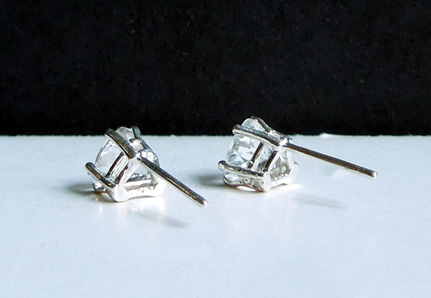 Trillion cut Herkimer diamond studs.